It doesn’t matter how good you are, some people are never impressed. 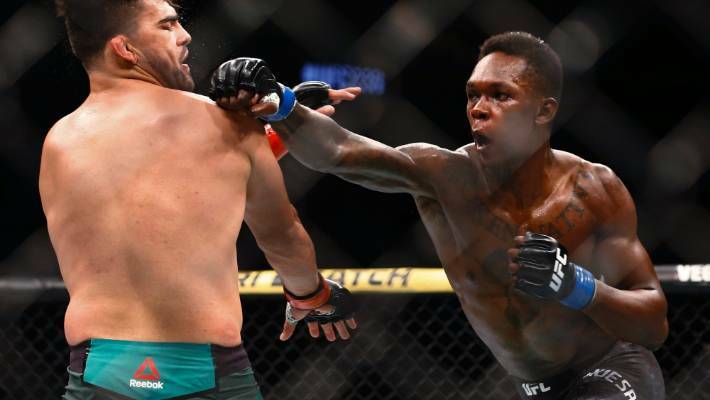 While much of the mixed martial arts world was left in awe of Israel Adesanya’s epic victory over Kevin Gastelum to capture the UFC interim middleweight title, light-heavyweight champion Jon Jones is still not convinced of his credentials. In fact, Jones – one of the sport’s biggest names – has planted the seed for a mouth-watering rivalry after taking several shots at ‘The Last Stylebender’ in a series of tweets. Jon Jones wasn’t impressed by Israel Adesanya’s win over Kevin Gastelum. The first came on the eve of UFC 236, after Adesanya said he was intrigued by the possibility of a future match-up with Jones, only for the latter to rip his previous victory over all-time great Anderson Silva. “If you think you killed 44 yr old Anderson, you didn’t. I’m not really sure what fight you’ve been watching. You got past the legendary GOAT, now come f… with the King of the jungle. I’ll make you call me daddy by the third,” Jones wrote. Israel Adesanya surged home in the final round to beat Kelvin Gastelum by unanimous decision. Then after Adesanya became the first New Zealand-based fighter to win a UFC belt, knocking down Gastelum three times in the final round to claim a thrilling unanimous decision, Jones was it again. Responding to a post that said Adesanya wasn’t a “patch” on the American, Jones said: “Well said, my man had a toe to toe kick boxing match with a short stubby wrestler. There’s only one Jon Jones ladies and gentlemen”. In another tweet, ‘Bones’ added: “You guys can you believe the hype if you want to. I’ve seen all I had to see”. 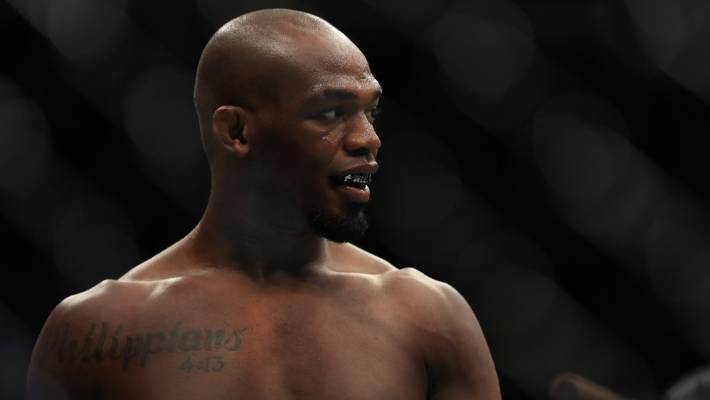 Jones (24-1, one no-contest) is widely regarded as the best pound-for-pound fighter in the UFC, despite a chequered history that includes twice being suspended for failed drug tests. With their unorthodox striking styles, Adesanya (17-0) has often been compared to Jones and there is no doubt that a bout between the pair would be a box-office hit. Although, it would require either Adesanya moving up a division or Jones, who currently competes at 205lb (93kg) cutting down to 185lb (84kg). But speaking at his post-fight press conference, Adesanya was in no mood to discuss Jones. Besides, Adesanya has another champion to worry about after a booking a dream trans-Tasman unification bout with New Zealand-born Australian middleweight king Robert Whittaker. Back in training after suffering a collapsed bowel and abdominal hernia that forced him to pull out of a title defence against Gastelum, Whittaker tweeted his congratulations to Adesanya immediately after the fight. “Great fight mate see you soon,” Whittaker. And Jones was clearly in the minority as a number UFC fighters were left blown away by the display put on by Adesanya and Gastelum. Reigning heavyweight champion Daniel Cormier went as far as to label it one of the best title fights in the promotion’s history. “Watching those guys go back and forth, going into round five it was two round apiece and Israel Adesanya showed a championship mentality,” Cormier told ESPN. “[He] went out there and left no doubt that he had won the fight by really putting it on Gastelum in round number five.